As a driver, it’s important that you are always prepared for unexpected events that may occur while you are on the road. How to change a flat tire. Flats can happen at any time and usually occur without any warning. Remember to always carry a spare tire and take the time to practice changing a tire without the pressure of an emergency situation. 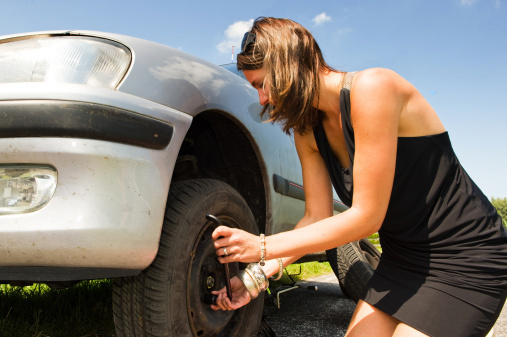 It’s a good idea to know how to change a tire safely before you drive on your own. How to react when pulled over. Being pulled over for the first time is an uncomfortable experience, but it can be even worse when you aren’t sure what to say to the officer. When this happens, try to stay calm and gather your license and registration before the officer taps on your window. And keep your hands in a highly visible place, such as on the steering wheel. What to do when the “check engine” light comes on. Seeing the little red or orange light for the first time is enough to make anyone start to get nervous. Instead of panicking, take your car to a mechanic as soon as possible and give them time to diagnose the problem. Sometimes, the fix is as simple as changing the gas cap. What to do after an accident. First and foremost, you need to make sure that everyone in your vehicle is safe before you call the police or exit the vehicle. If possible, pull over to the side of the road to an area where you will be out of the way of other vehicles. Once everyone is confirmed to be safe, assess the damage, call police, and exchange insurance information with the other driver. Once you are home safe, be sure to call and report the accident to your own insurance company. 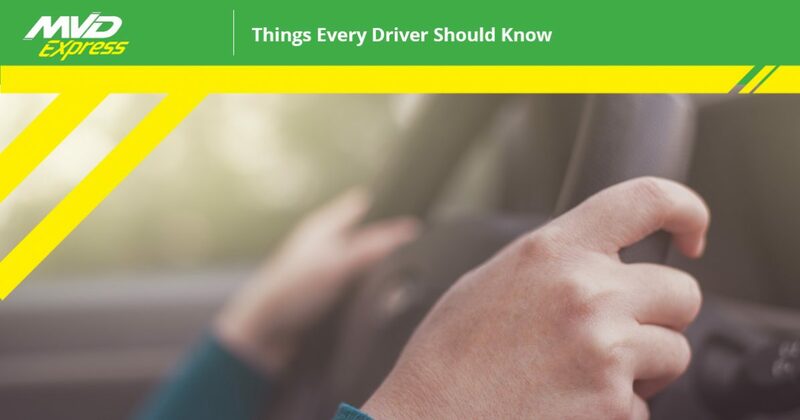 Knowing these little things before you get on the road can help to prepare you for difficult situations before anything happens. In any new situation, always remember to keep calm and think carefully about what’s going on before you act. Schedule Your Driving Test at MVD Express! Are you ready to hit the open road? At MVD Express, we are here to help you acquire everything you need so that you can experience the freedom of driving on your own for the very first time. Whether you’re in need of a driver’s license, permit, or another MVD service, you can find shorter wait times and friendly faces at MVD Express. We even give you the option of scheduling your driver’s test in advance, so you can get in, get out, and get on the road! If you’re ready for an MVD experience unlike any other, contact MVD Express by calling 505-226-9333 or fill out the form below!